Happy Fourth of July! What a great way to celebrate my first Design Team project for Scrap Our Stash! I am feeling so privileged to be part of this DT, especially since their challenges are special favorites of mine! Scrap Our Stash was created to inspire and challenge you to use up the products and supplies you have in your scrapbooking stash. 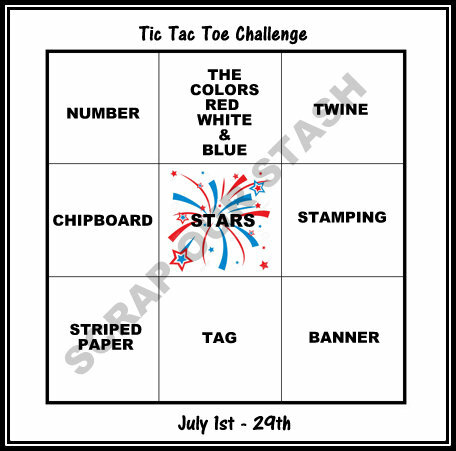 If you haven't played along yet, I invite you to come on over and join the fun: the tic-tac-toe challenge on the first of the month, and the sketch with a twist challenge starting on the 15th of the month. Create a layout using all three items from any horizontal, vertical or diagonal row from your stash! Since my day fell on the Fourth, I had to scrap one of my husband's fireworks picture. He is a talented low-light photographer and likes playing with light. 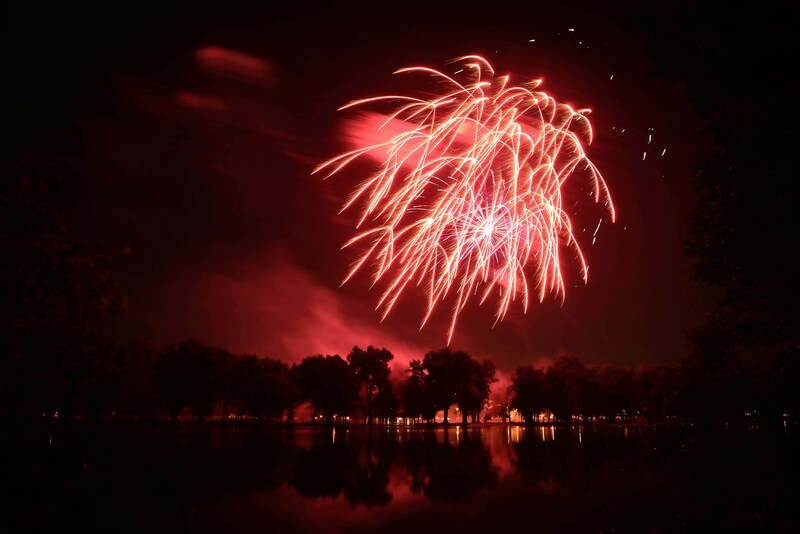 This photo of the fireworks over the Pettibone Lagoon was the perfect choice for today's layout. They set the fireworks off from on the spit of land between the Mississippi and the lagoon, making for an amazing view both of the sky and the reflection on the lake. 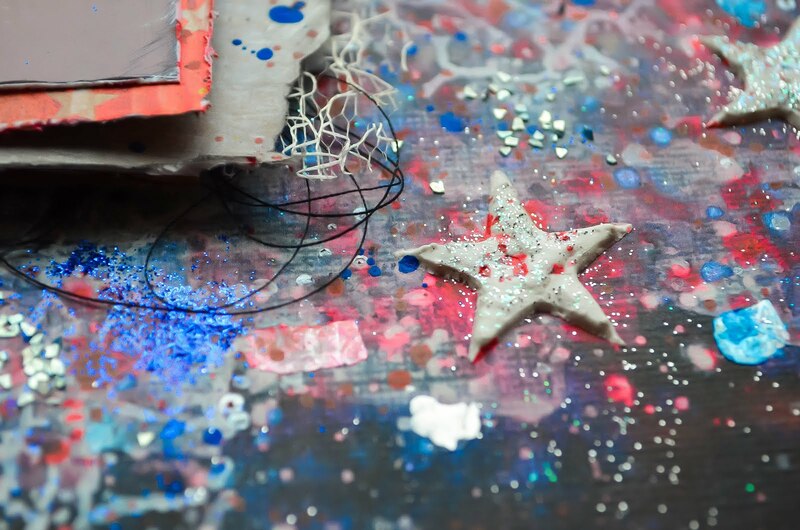 The challenge is simply to be inspired by at least one element in the picture, with a twist to add stars and stripes. I used the middle row down (the colors red, white, and blue; stars; and a tag) as well as the middle horizontal row (chipboard, stars, and stamping). 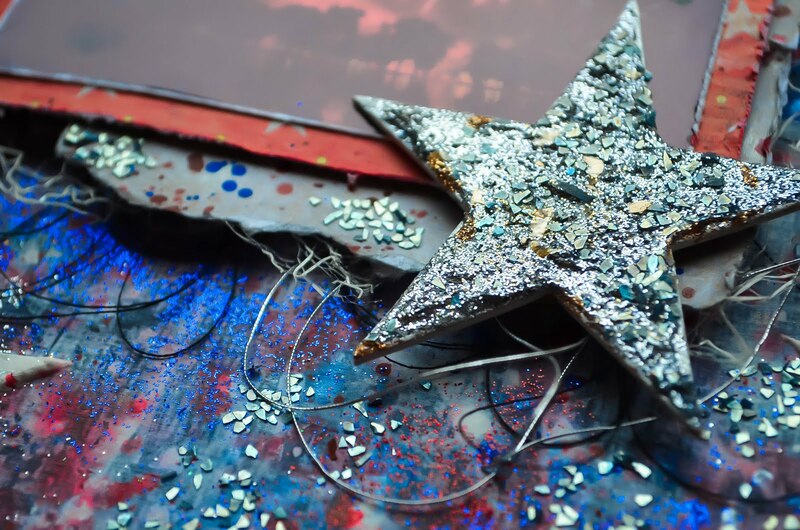 I cut the stars from chipboard using my Sizzix Big Shot, using the Tim Holtz Stacked Stars Bigz die, and used the encrusted jewel technique to make them sparkle. I first used this technique on my "Never Lose Your Shine" layout back in March and loved the result. 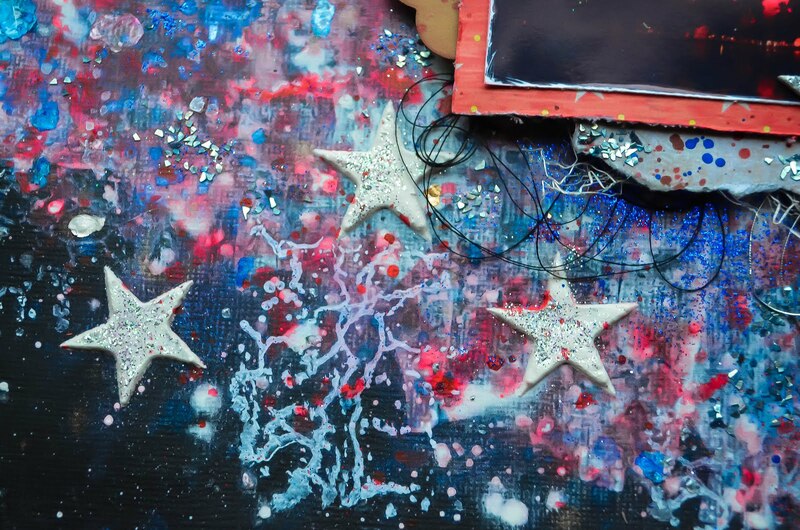 I used the leftover chipboard as a stencil to add some stars using Prima's texture paste. So now that you've seen my inspiration project, head on over to Scrap Our Stash to join on this month's challenge. Entries are due on the 29th, 11:59 PM (PST). Happy 4th Carrie! Perfect job mimicking that ultra-fabulous photo!! WOW your hubby's great with a camera! Love the little details, like the string....looks really good! This is very innovative and beautiful! Carrie--you KNOW I am a fan! This page is magnificent! Congrats on your DT and thanks for playing along at CREATIVE EMBELLISHMENTS! I love those stars!!! Thanks for joining us at Creative Embellishments! 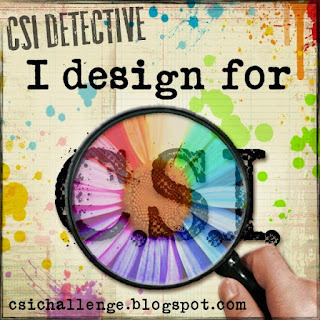 Carrie you did a fabulous job on that background, just a perfect layout for our challenge. Thanks for joining in on our fun at Creative Embellishments ! Great take on the challenge!! Thanks for joining our challenge at Creative Embellishments. Lovely 4th of July page! Thanks for joining us at Creative Embellishments! such great background work, and that picture is just gorgeous. Stunning!!!! 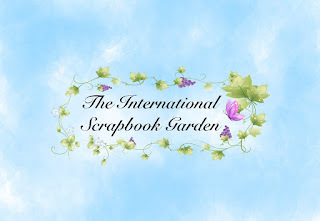 Thank you for joining us at Creative Embellishments. 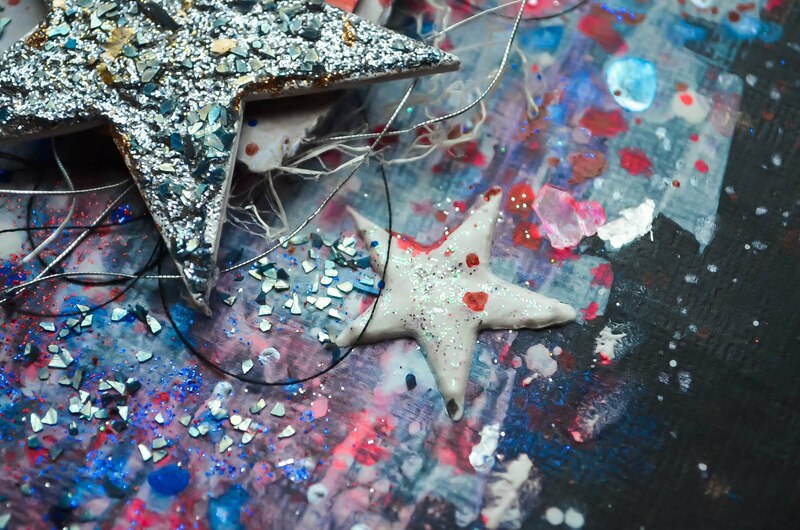 What a fabulous page and loving those sparkly stars.. 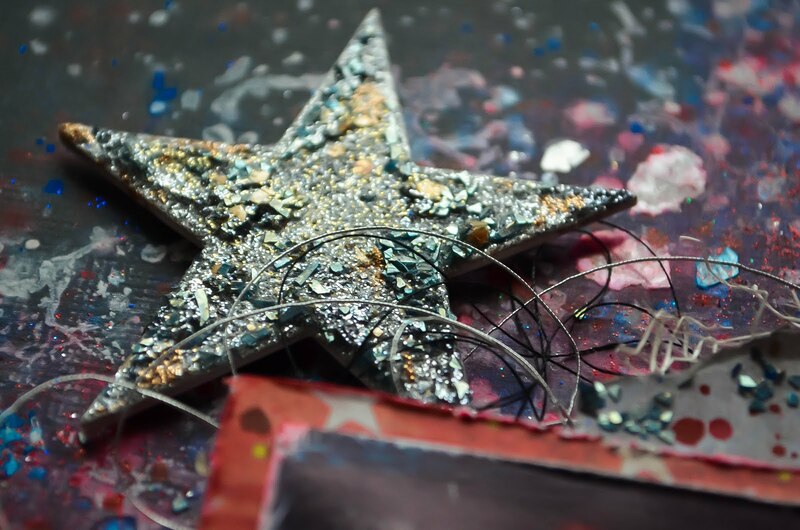 Thank you for sharing with us ladies over at Creative Embellishments.